It’s a question I’ve been wrestling with lately. I truly believe that everyone has the power to create a meaningful and fulfilling life, but does that mean everyone has the ability to go into business for themselves…and succeed? Too often, I see people become entrepreneurs by default. They’re fired or laid off from their jobs, and so they start freelancing and begin to grow their business. But when a full-time employee position presents itself, they jump on it, because they’d rather work as an employee than work for themselves. Many are drawn to the flexibility of entrepreneurship and are inspired to take control of their career destiny. But then they experience the long hours, ups and downs of revenue, and the isolation of going it alone, and they come to realize they went down the wrong path. Can I handle ebbs and flows? Or do I prefer a steady state? If you love receiving a bi-weekly paycheck for the same amount every single week , and the thought of variable income stresses you out, then you’re better suited for traditional employment. Entrepreneurship takes forecasting, looking one year, even five years down the road, and budgeting for those leaner months. While I’m not saying a client leaving or a late payment isn’t stress inducing (it is! ), it shouldn’t have the power to consume all your brain space and take away from other areas of your work. This also applies to work load and scheduling. 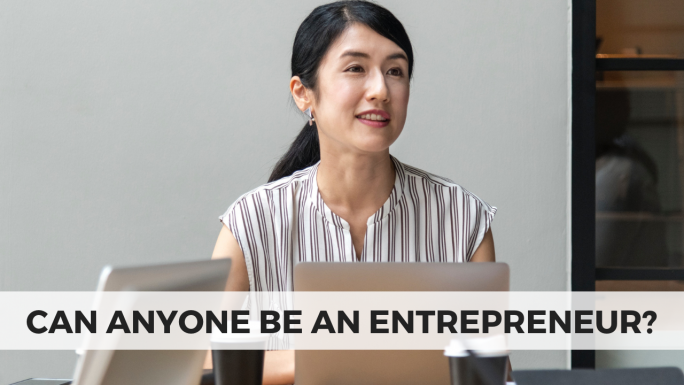 If you love getting to work at the same time every day and knowing exactly when you get to leave, then entrepreneurship certainly isn’t for you. There will be days when you work from sunup to late into the night. There will be lighter days too – one of the perks of entrepreneurship – but in the beginning, there won’t be many. There will also be unexpected fire drills, technical glitches, and other surprises that may throw off your entire schedule. If you’re equipped to deal with those surprises, then you are temperamentally suited to run your own business, but if your heart sped up just reading this, then you’d better stick to the 9-5. Am I open and excited to learn new skills? Or do I prefer to stay within my zone of genius? Entrepreneurs don’t wear only one hat. While your company may be born out of your current skill set, succeeding as a business owner also means developing new proficiencies. Expertise in sales, bookkeeping, and management isn’t ingrained in most of us. Often, they don’t even interest us. And yet, these are necessary skills to develop as an entrepreneur. While some of your time will be spent making products or serving clients, a large portion of your week will also be spent invoicing, balancing your checkbook, managing your team, etc. If you only want to do the things you already enjoy doing, then find a job that allows you to do that, because as an entrepreneur, you must be comfortable with several different types of responsibilities..
Am I self-motivated and organized? Or do I need someone else to structure my day and help me stay on track? Entrepreneurs don’t have bosses peering over the cubicle and double checking every step of your process. In most cases, you are the final set of eyes that goes on any deliverable. That means you have to be highly organized, detail oriented, and self-motivated. I do believe these skills can be learned; I know my organizational skills have increased dramatically over the years. But you also have to be able to identify your shortcomings and have a desire to fix them. I do believe anyone can be an entrepreneur, but I don’t believe everyone should. Entrepreneurship isn’t a fix for unemployment or wanting a more flexible work schedule. If you are more suited for traditional employment, then you’re better off treating the act of finding a job like a full time job, rather than getting sidetracked by freelance work. 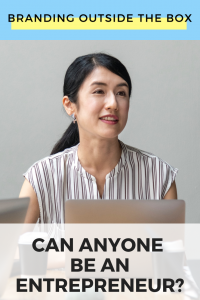 If you feel like you can’t work at your current company because of the rigid schedule or the desire to work from home, then find an employer who shares your values and has a more congruent company culture. I wouldn’t trade the life of an entrepreneur for any other; but aspects of my personality make me well suited for this path. Before you make the leap, ask yourself these hard questions to determine whether or not this life is meant for you.